Yesterday was a day of reveals for the next installment in the Mortal Kombat series, Mortal Kombat 11. From character reveals to about 12 minutes of gameplay, audiences were introduced to a lot of new info for the new game in a live streaming event. The game will be released on April 23rd, but before then let’s take a look at one of the new playable characters, Geras. 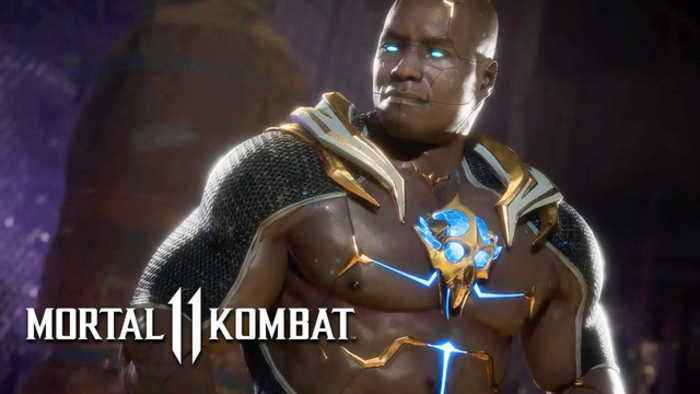 According to his reveal trailer, Geras can control earth sand, which more than likely means he’s going to use the granular material to knock the bloody F’ out of someone in true Mortal Kombat fashion. From the trailer, “A powerful and loyal servant of Kronika, Geras wields the power to manipulate time.” As more information is revealed about the newcomer and the game, we’ll post it here at BlackSci-Fi.com. Until then check out Geras’ reveal trailer. Mortal Kombat 11 will be released on PS4, Xbox One, PC and Nintendo Switch. No Rest For The Wicked, 5 Blades is Here!